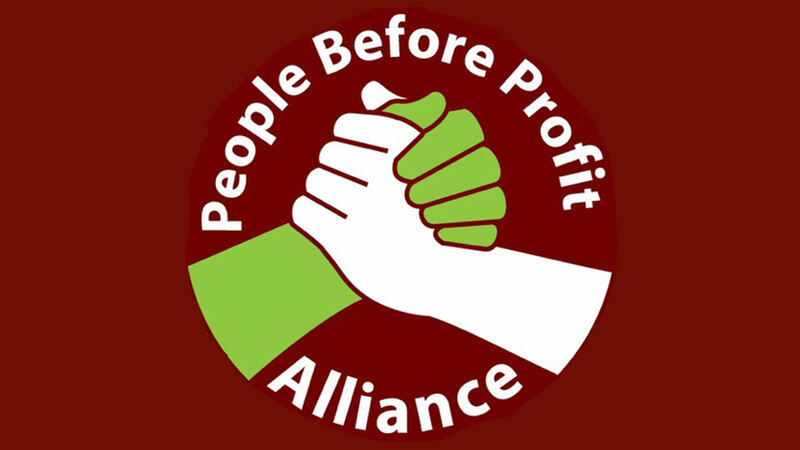 People Before Profit welcomes the publication of the South Dublin County Council DRAFT CLIMATE CHANGE ACTION PLAN and the opportunity to make submissions in relation to it. It is evidence of growing public and official awareness of the seriousness of the problem the whole world is facing and it articulates a number of worthwhile goals and aspirations. However, we also disagree substantially with a number of aspects in the Plan. ‘Responding to climate change is becoming a priority of governments all over the world. Its impacts threaten livelihoods, the environment, security, and economic growth’. This is not true. Governments all over the world, including the Irish government, are precisely NOT making tackling climate change a priority and precisely NOT taking the action needed to stop runaway climate change and climate chaos. As a result carbon emissions are continuing to rise globally and this will do far more than, in the words of the Plan, ‘threaten livelihoods, the environment, security, and economic growth’. This makes climate change sound rather like Brexit when in fact it is an existential crisis for humanity and, in the words of David Attenborough, threatens the whole survival of civilisation. Moreover, time is extremely limited. It is not a question of 12 years and the world will end as some silly politicians put it (to discredit the issue) but 12 years to prevent immensely dangerous escalation of extreme weather events – heat waves, droughts, floods, storms on a devastating scale. What is needed, therefore, internationally and nationally, is real emergency action NOW and on a massive scale. To this we propose that South Dublin County Council categorically declare a Climate Emergency immediately, as was agreed by the Motion No 13 which was passed at the January County Council meeting. Obviously what is needed is that the Irish government does this, but local councils doing it can help spread the idea and put pressure on the government to do likewise. We propose also that SDCC initiate a public awareness campaign in the form of public consultation meetings, leaflets, videos etc. to explain this declaration of a climate emergency. However the main focus of this campaign should NOT be on what the public as individuals can do to reduce their personal carbon footprint. There is nothing wrong with individual’s doing this, of course, but this neither the central problem nor the real solution. The central problem is the behaviour not of ordinary people but of governments and giant multinational corporations. What ‘people’ can do above all is put pressure on governments and corporations to do what is necessary to save the planet and its species. The purpose of the SDCC public awareness campaign should be to equip people with the facts and knowledge to do this. Trying to guilt trip ordinary people over this will have the reverse effect of putting them off the need for climate action. For the same reason we believe South Dublin County Council should OPPOSE the introduction of carbon taxes. These will target the wrong people, and not stop climate change: on the contrary they will simply allow those who can afford it to carry on with carbon emissions. And by hitting ordinary people they will fuel the (completely mistaken) idea that climate change is some kind of hoax as a pretext for more taxes. Supporting in every possible way the extension of public transport and its provision FREE to reduce use of, and dependence on, the private car. Supporting everything, such as cycle lanes and foot paths, that will facilitate cycling and walking. Supporting the retrofitting of housing especially all public housing, to render them as fuel efficient as possible. Supporting a programme of mass building of eco-friendly building of public housing on public land. Ensure all new building in the Council area is eco-friendly and tested. If an amendment to the Development Plan is necessary this should be initiated immediately. Inspecting all large public buildings – hospitals, libraries, sports facilities, community centres, etc – with a view to assessing and reducing their carbon emissions. Provide multi-purpose public bin systems across the county to facilitate recycling and composting. Ensure that recycling facilities are accessible in the near within walking distance of any new Part 8 housing development. Welcoming and supporting school students and young people in the global strike movement. It is their future; they have a right to protest and a right to be listened to.